technology corporations are a dangerous threat to freedom of speech and other core democratic rights. police state is being erected. experienced substantial declines in Google search-generated readership. freedom of speech. 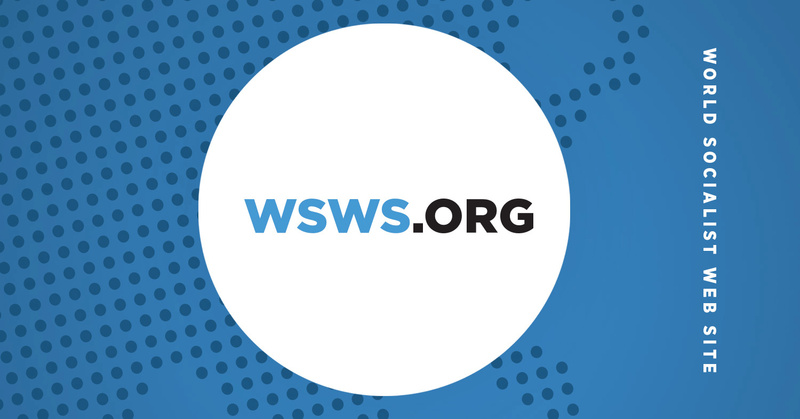 We therefore call on you and Google to stop blacklisting the WSWS and renounce the censorship of all the left-wing, socialist, antiwar and progressive websites that have been affected adversely by your new discriminatory search policies. for state surveillance, dictatorship, private profit and war. struggle against capitalist exploitation and imperialist wars. before, possesses tremendous potential political power. publications, i.e., promulgating fake news. the publication of critical opinions the equivalent of treason. Imperialist wars are always accompanied by political repression. Act, and used it to jail socialists and deport radical immigrants. the specific purpose of opposing Internet censorship. manifestation of national chauvinism, racism and imperialist militarism. groups, and individuals who are targeted by the censors and the state. counter-offensive against the conspiracy of governments and corporations to censor the Internet and destroy democratic rights. important for the working class. International Coalition of Socialist, Antiwar and Progressive Websites. Representatives of websites or organizations interested in joining the coalition should direct inquires to endcensorship@wsws.org. Individuals who want to participate in the work of the coalition should submit this form: http://www.wsws.org/en/articles/2018/01/23/pers-j23.html#form. not totally terrible suggestions but annoyed that they don’t explore technical, decentralized tech solutions. What do you think about this Clayton?